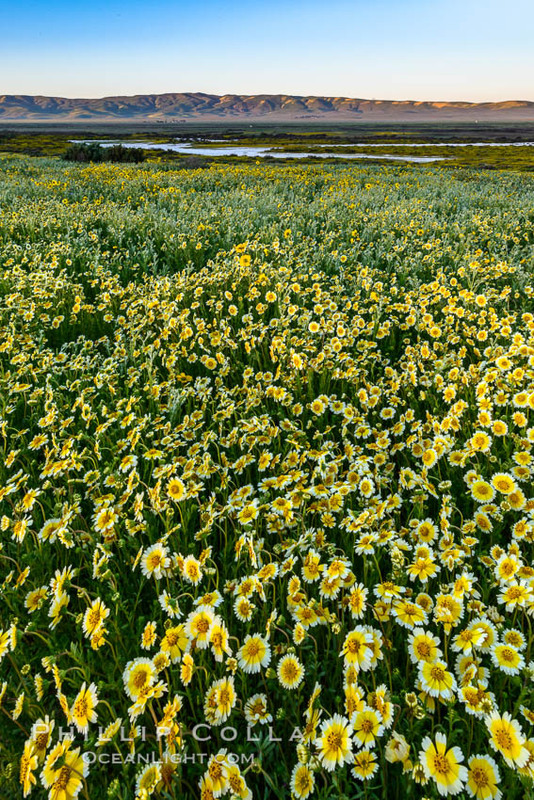 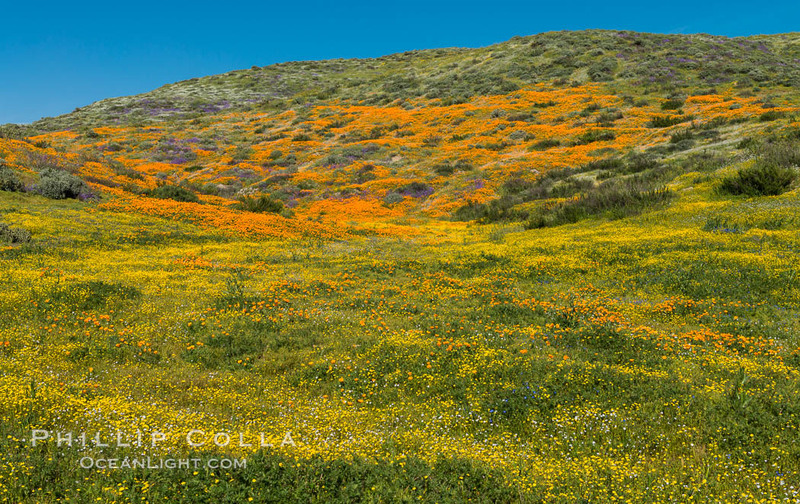 During March and early April of this year I was chasing the wildflower bloom around the southernmost parts of California. 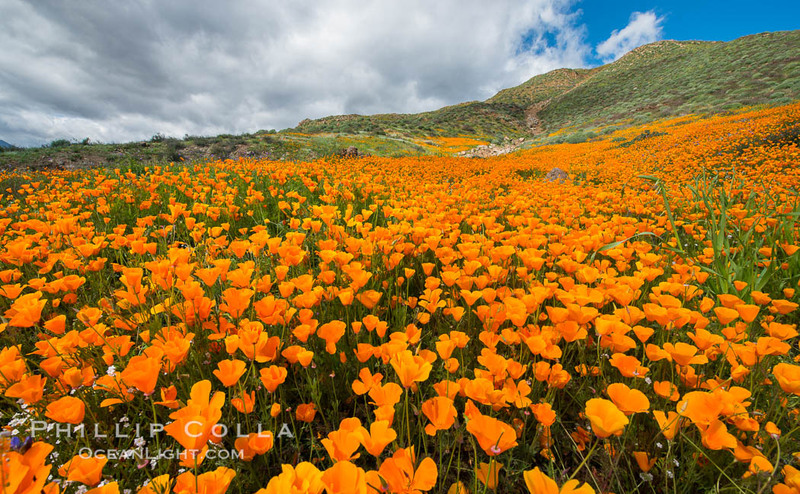 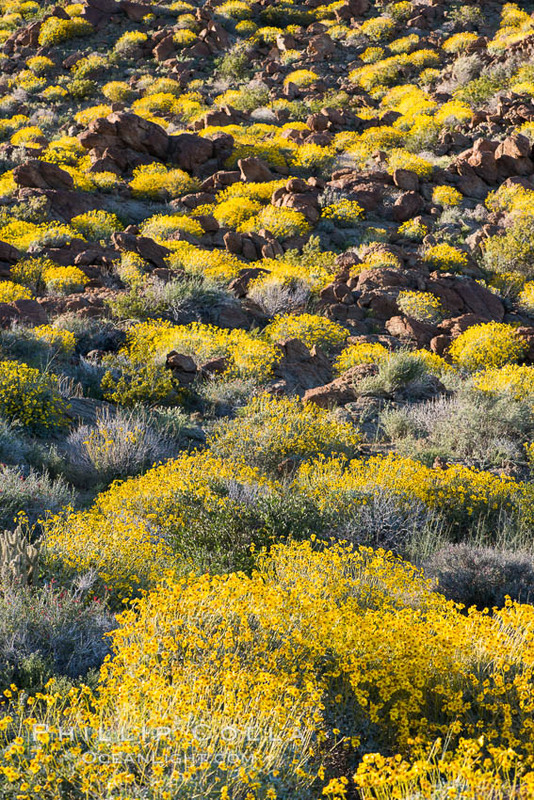 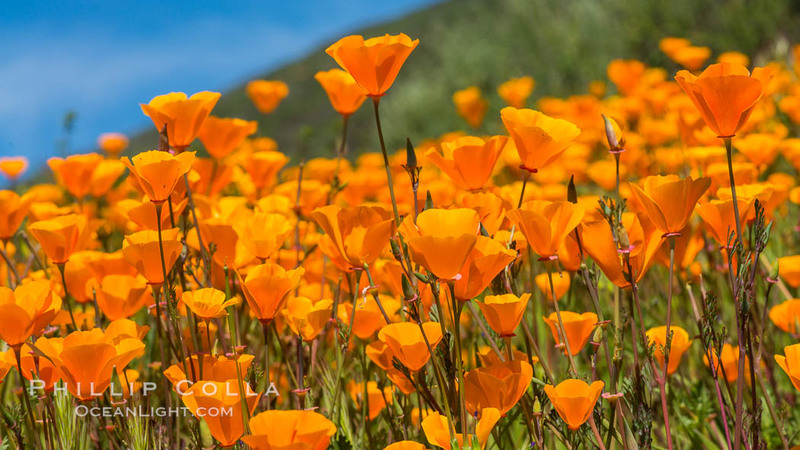 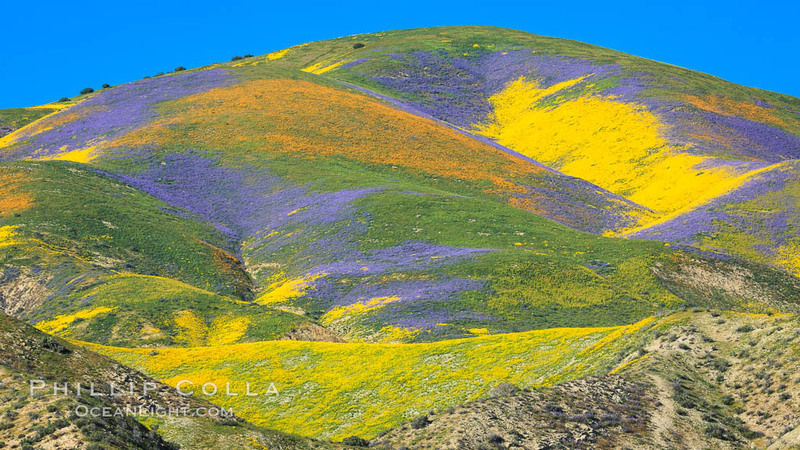 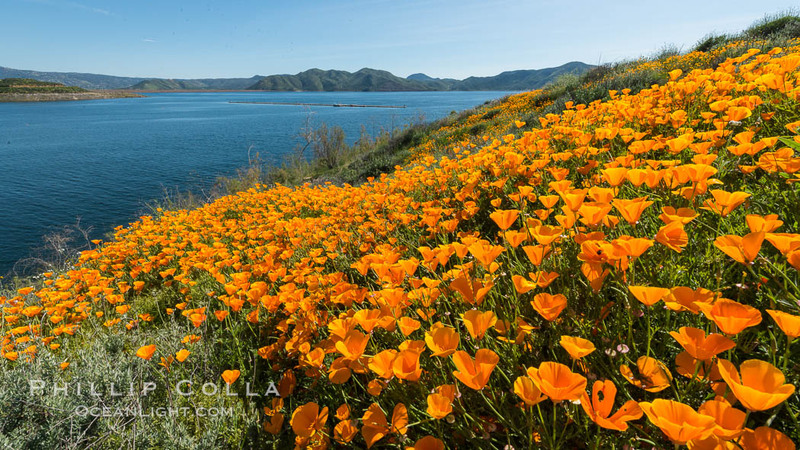 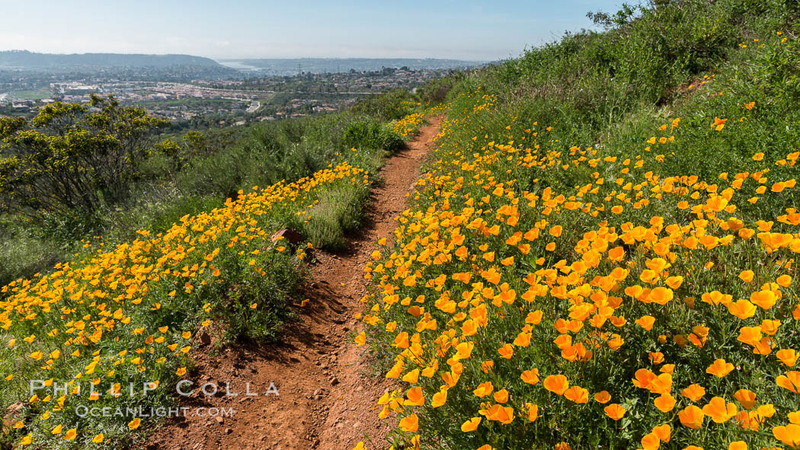 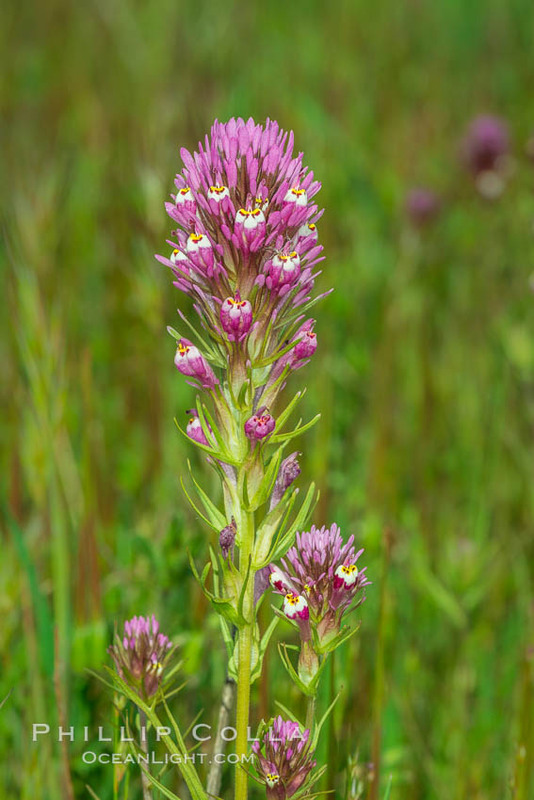 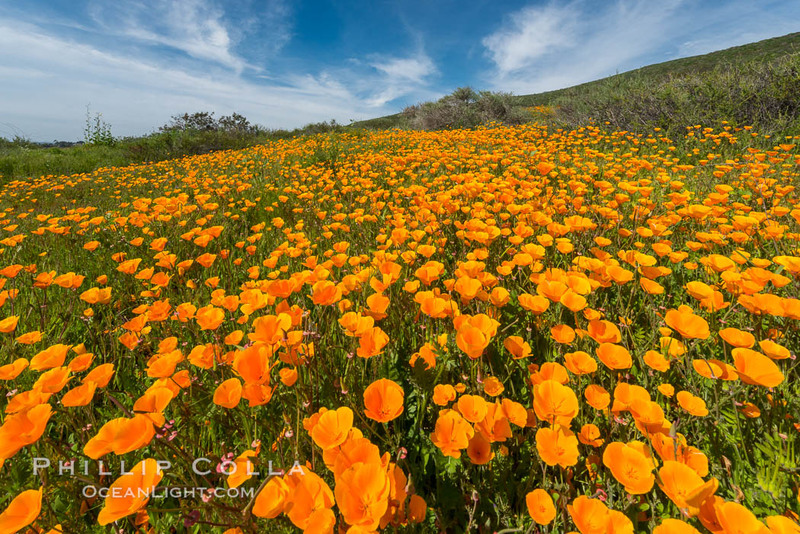 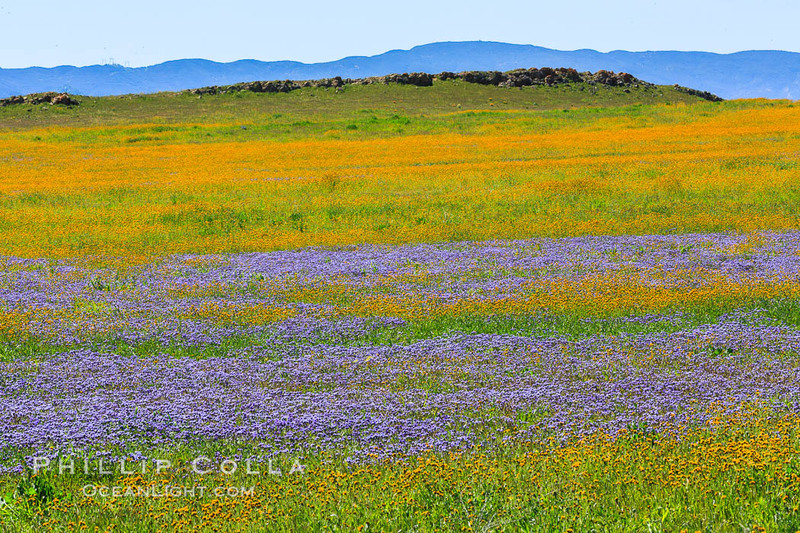 The wildflower bloom was indeed spectacular and went on for weeks with vast displays of color. 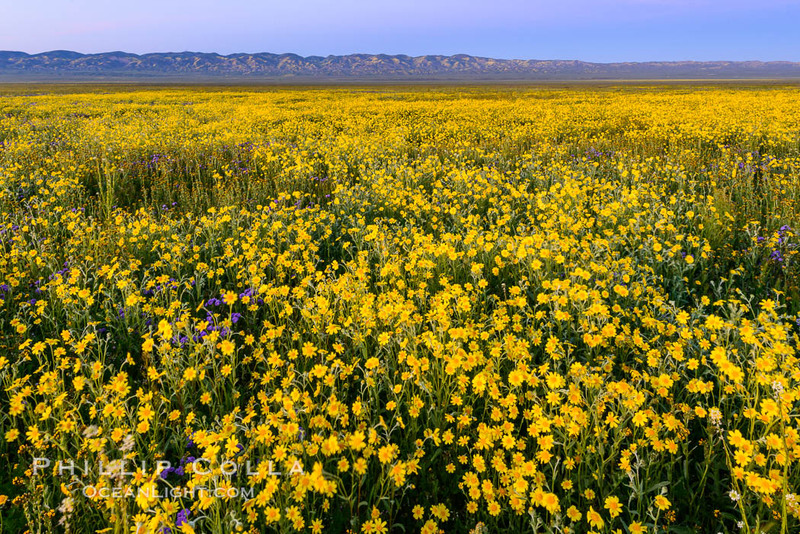 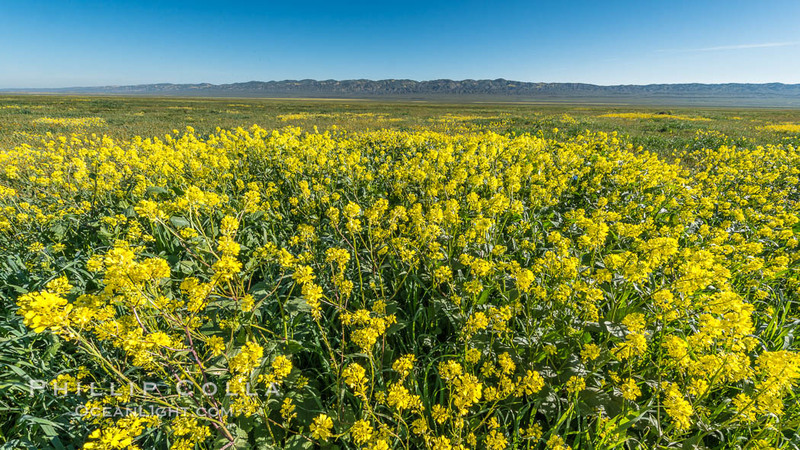 Was it a “super bloom”? 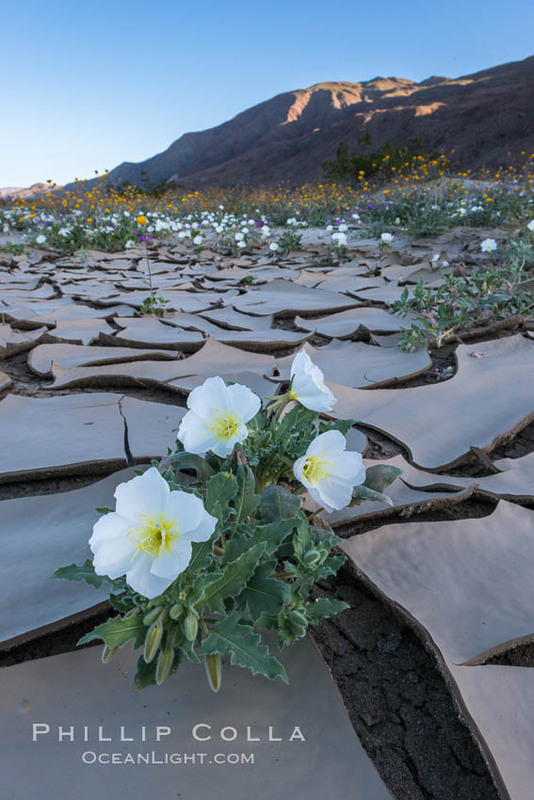 I’m not sure. 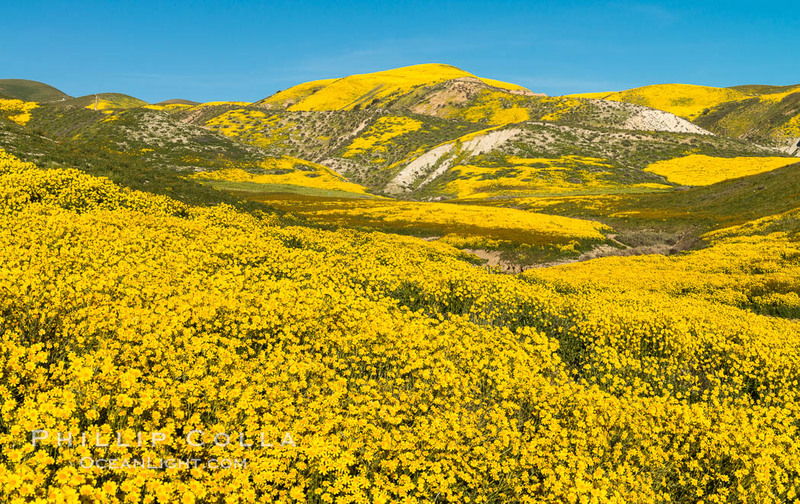 Somewhere during March the interwebs began using “super bloom” and the term stuck. 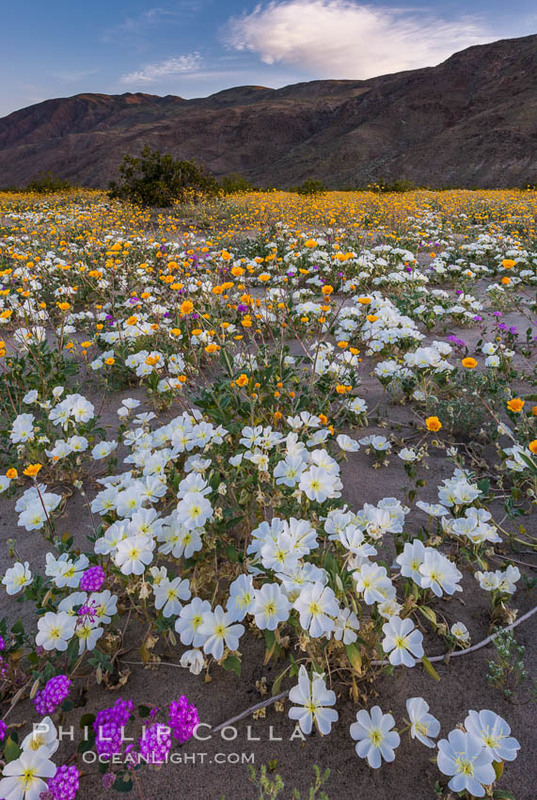 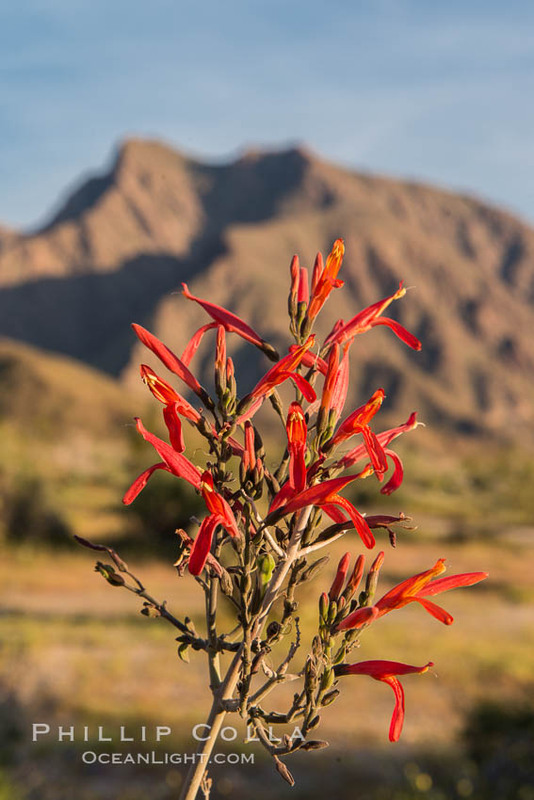 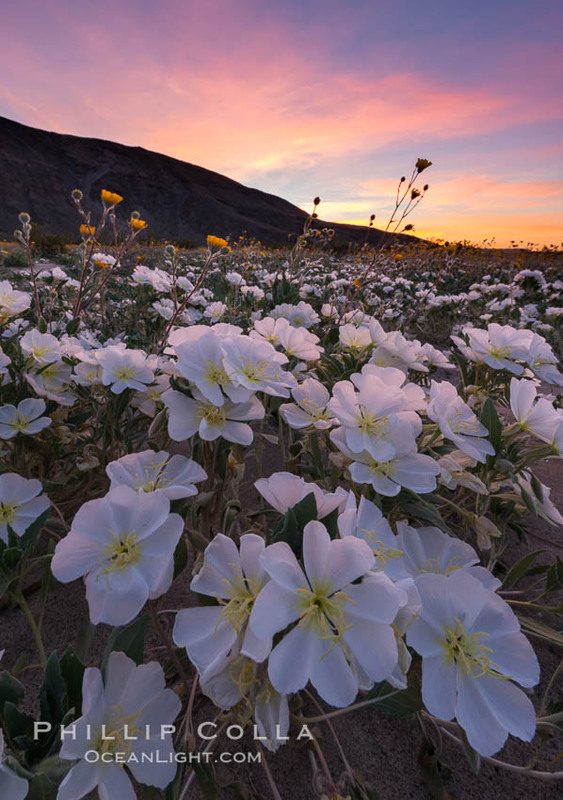 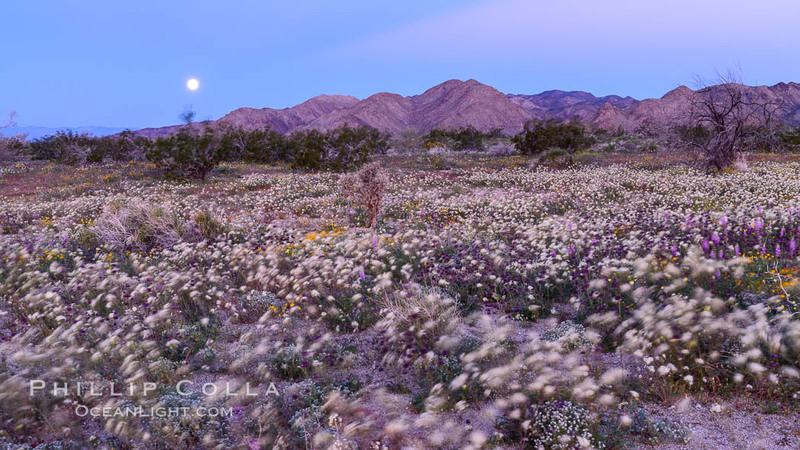 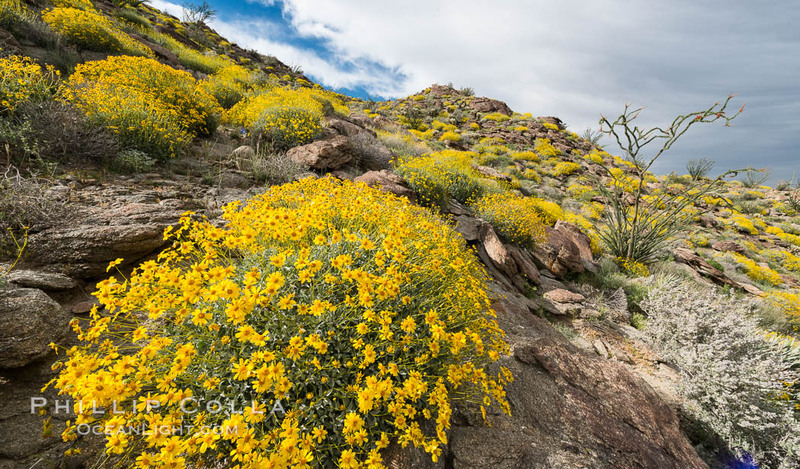 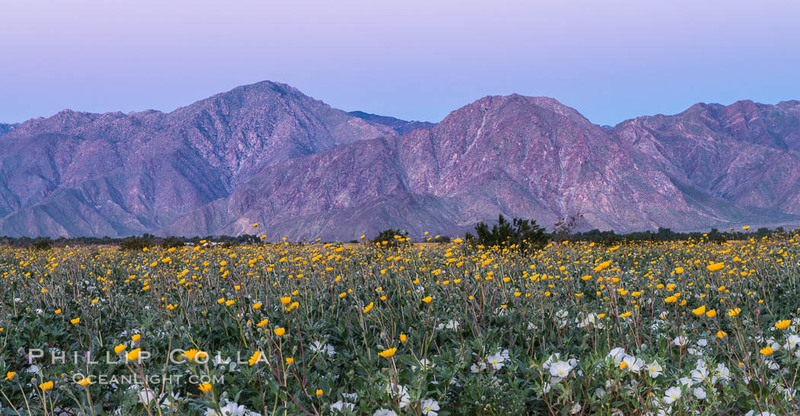 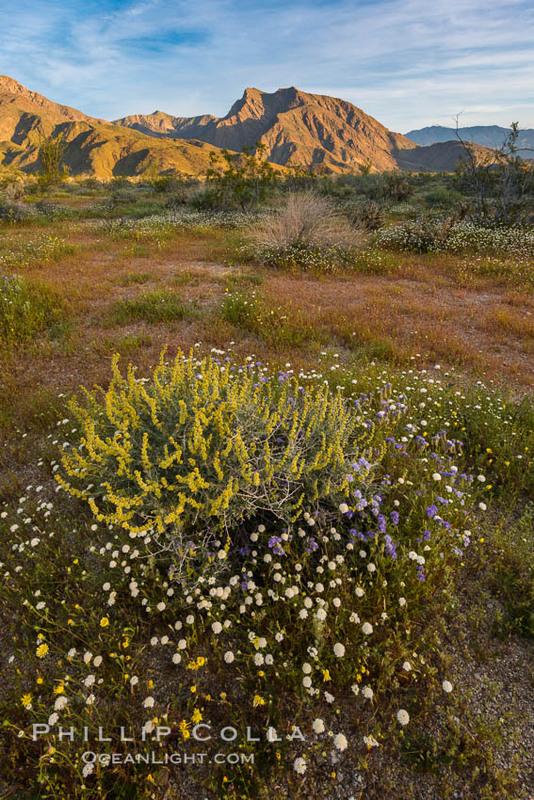 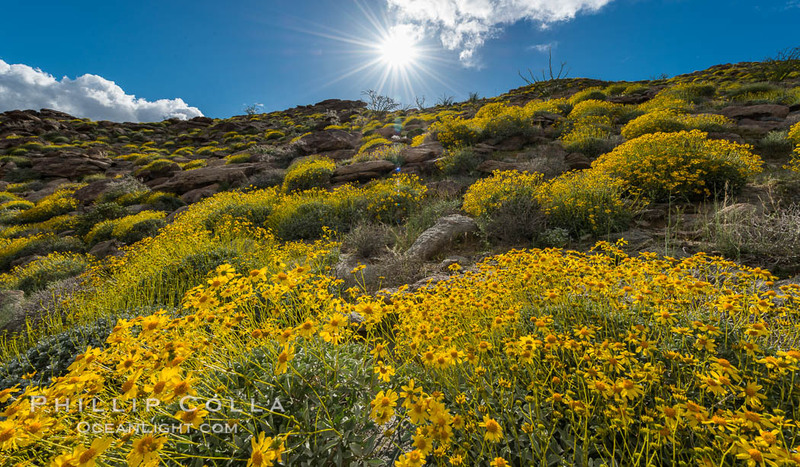 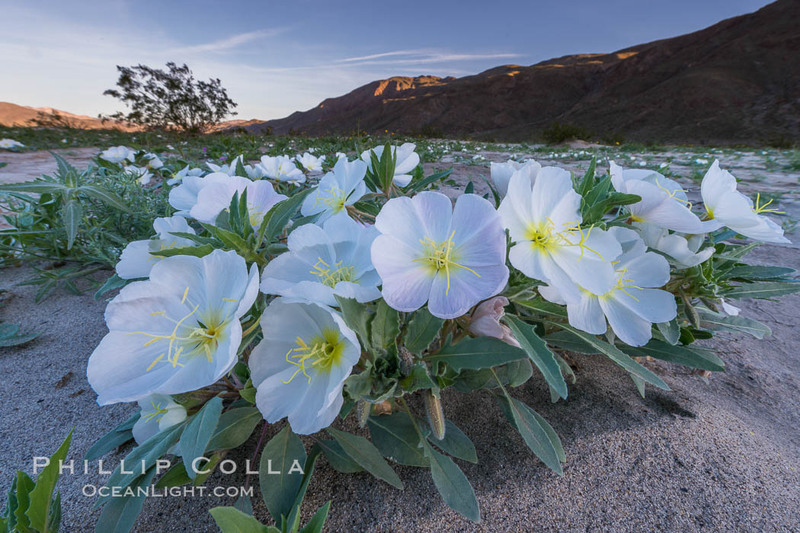 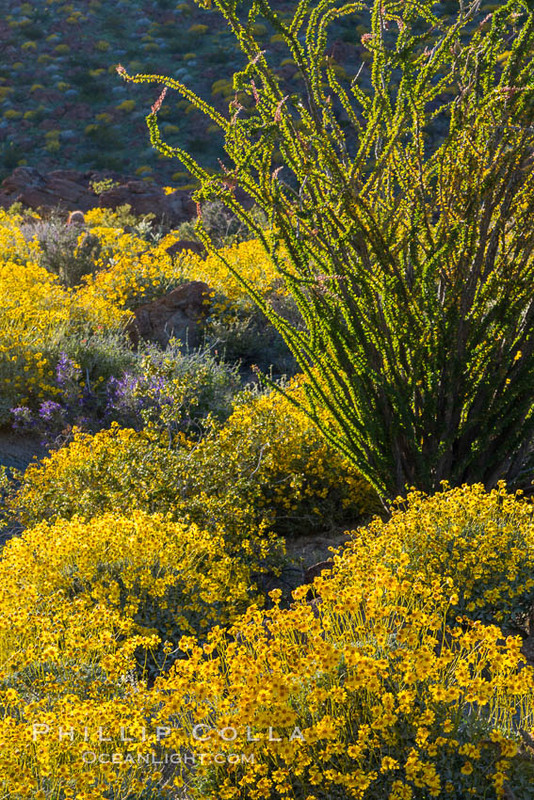 I’ve seen wildflower blooms equally spectacular in the past, especially in the desert, so perhaps those past events were all “super blooms” as well. 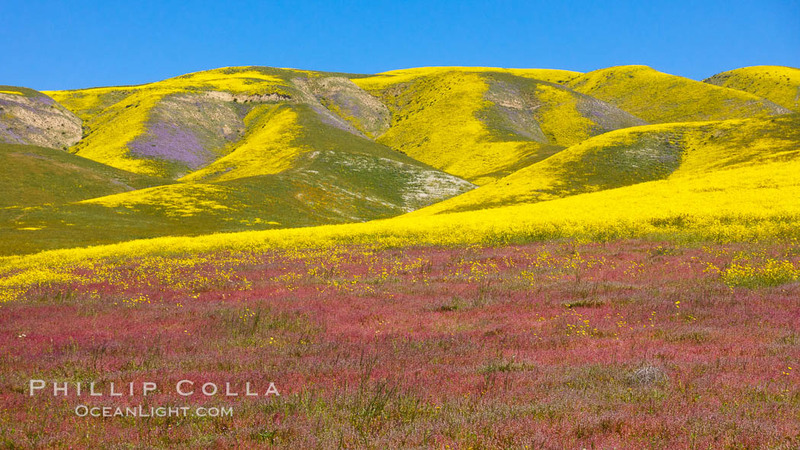 One huge difference this year is that social media and news outlets picked up on it and created crowds the like I have never seen before. 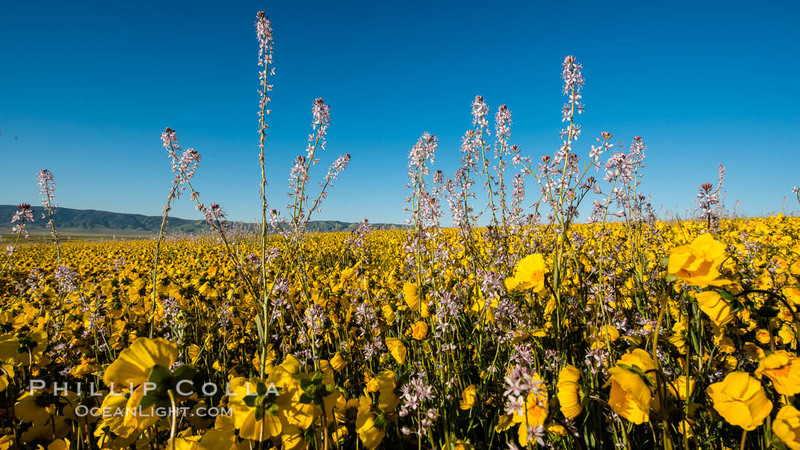 I did much of my photographing midweek in order for me to find solitude in the flower fields — weekends were out of the question due to the sheer number of people. 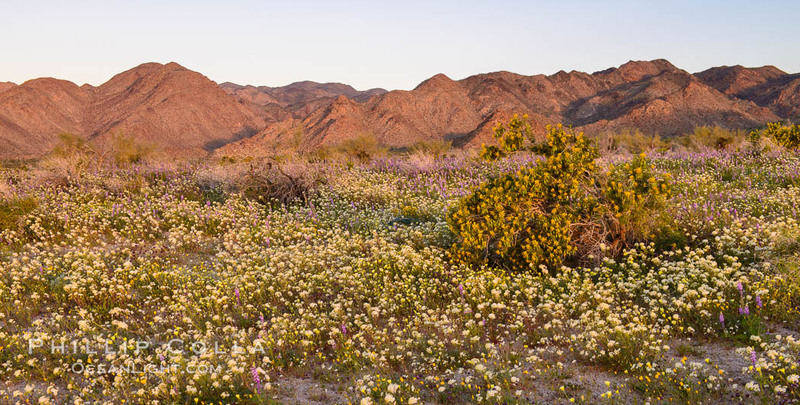 My outings took me to Anza Borrego Desert State Park (many times), Joshua Tree National Park, Carrizo Plain National Monument, Elsinore, Hemet, Santa Rosa Plateau, Mount Palomar, La Jolla, and my backyard of La Costa and Carlsbad. 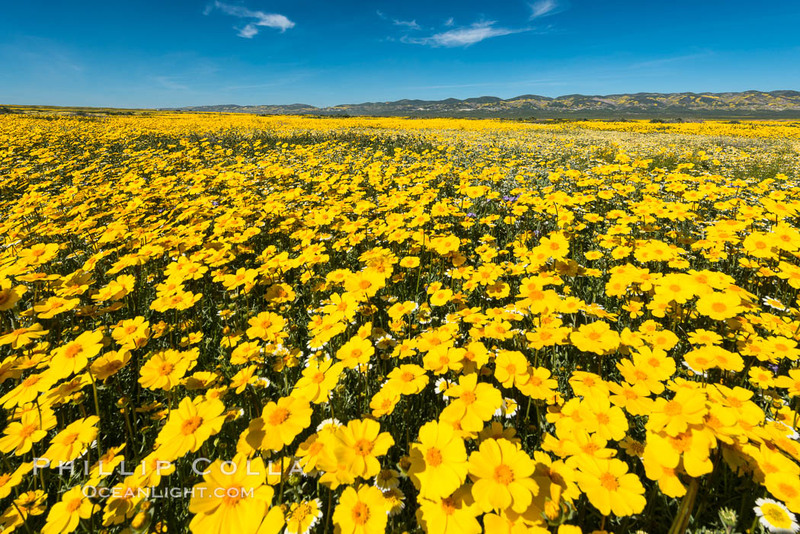 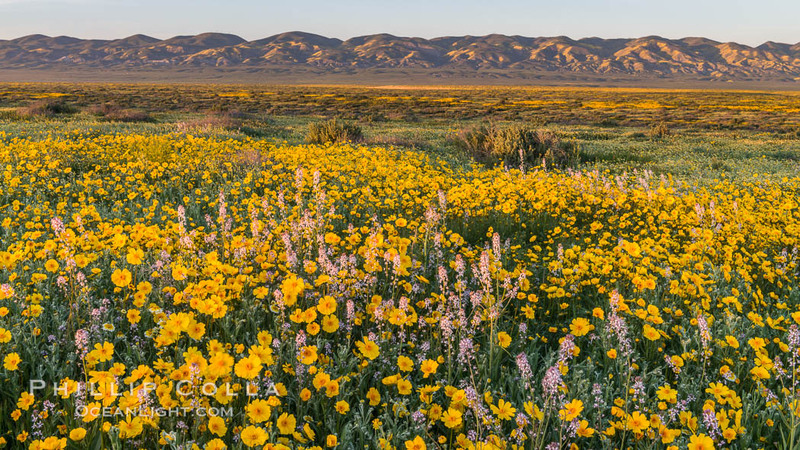 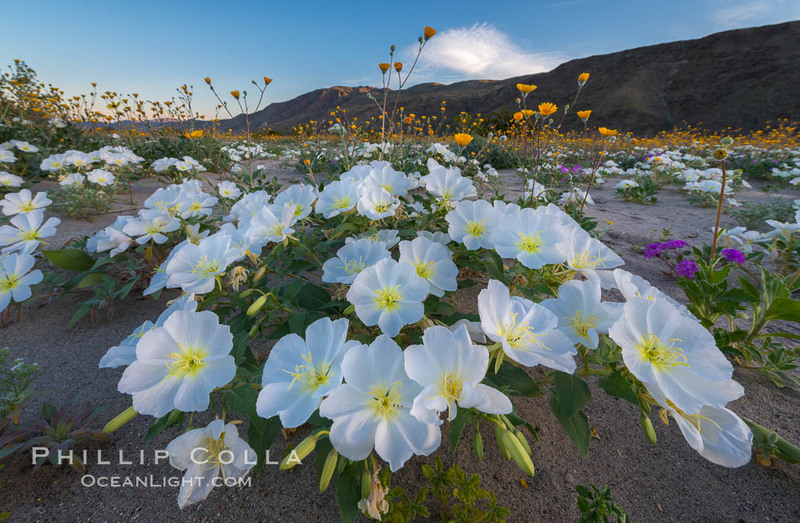 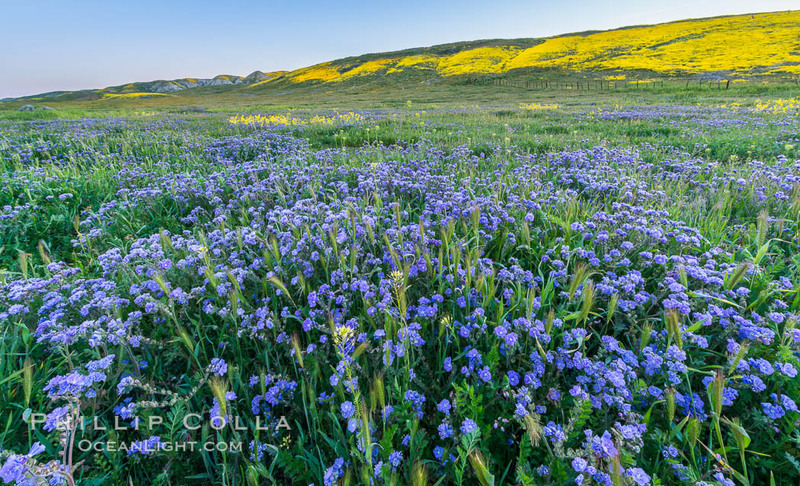 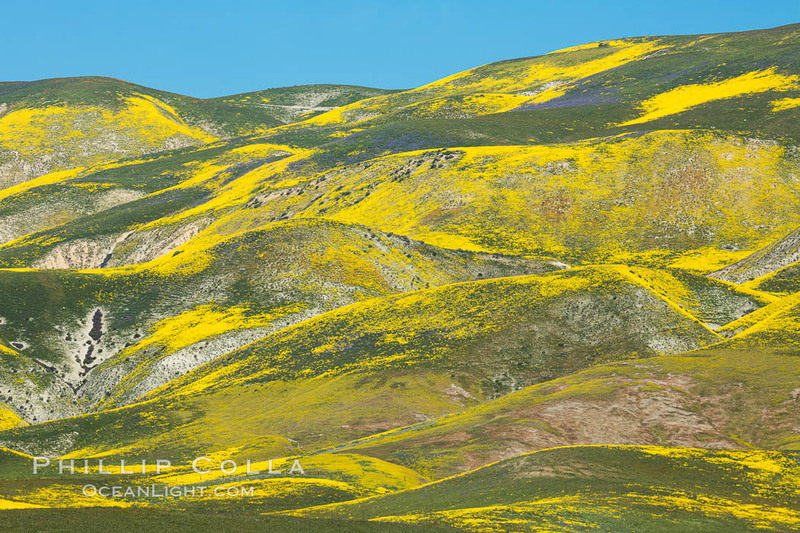 Below are 42 of my favorite spring wildflower images from the Super Bloom of 2017. 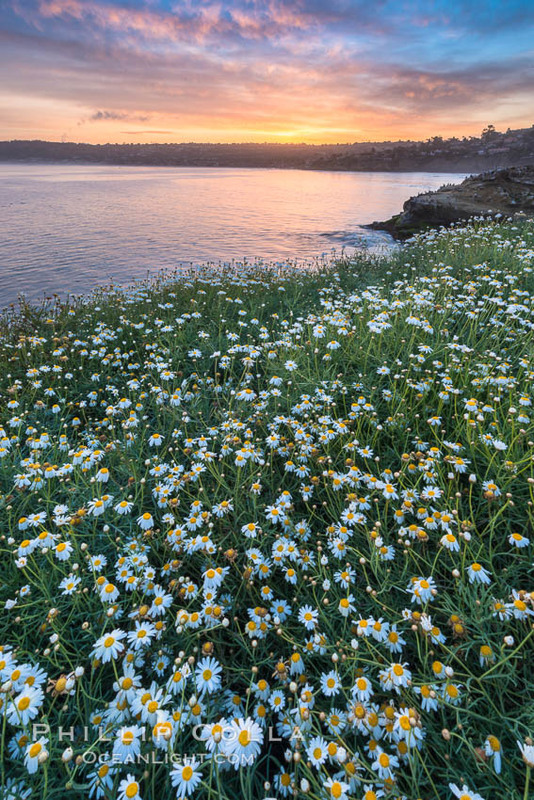 They are presented in the order in which they were made, starting around March 6 and ending mid April. 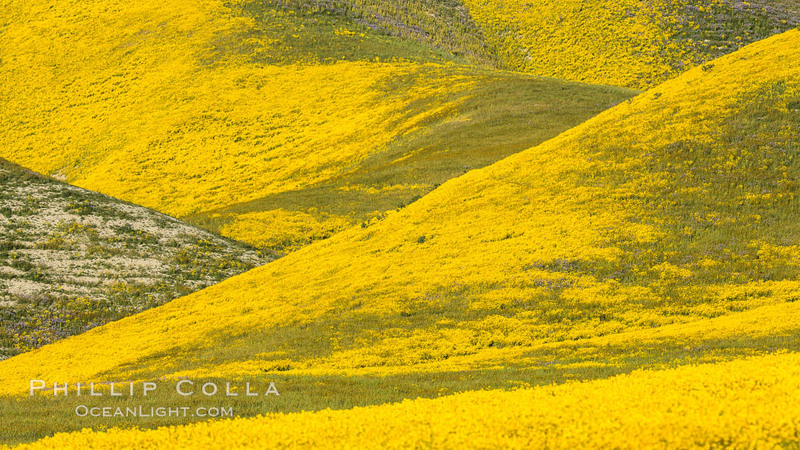 Cheers, and thanks for looking! 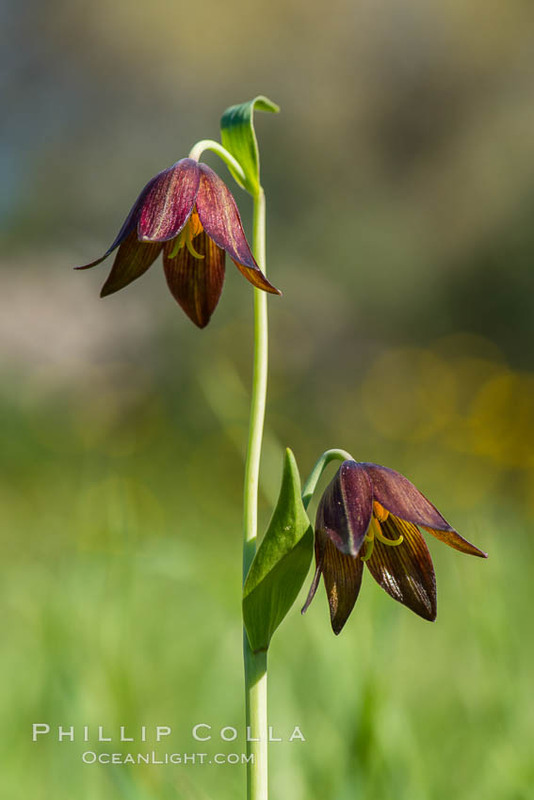 Chocolate lily growing among grasses on oak-covered hillsides. 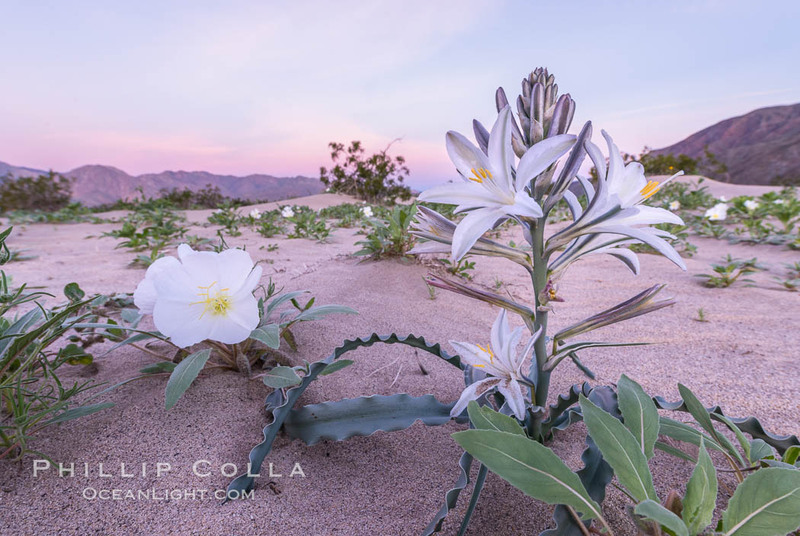 The chocolate lily is a herbaceous perennial monocot that is increasingly difficult to find in the wild due to habitat loss. 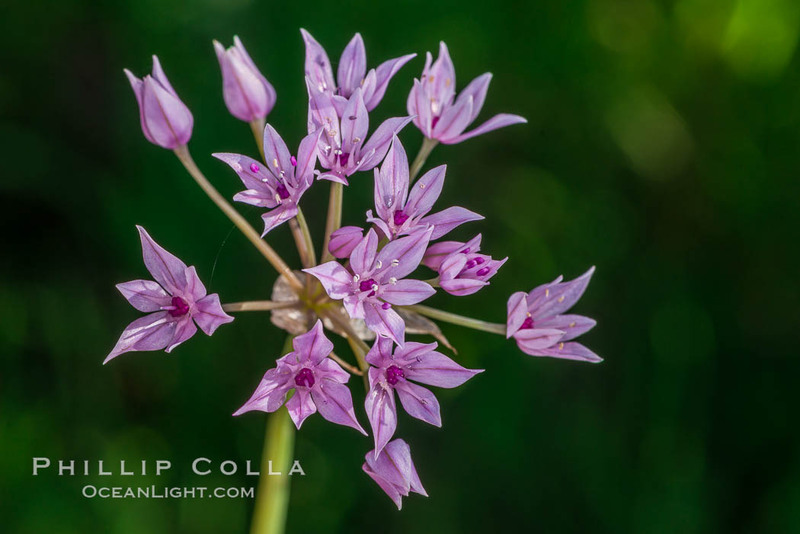 The flower is a striking brown color akin to the color of chocolate.